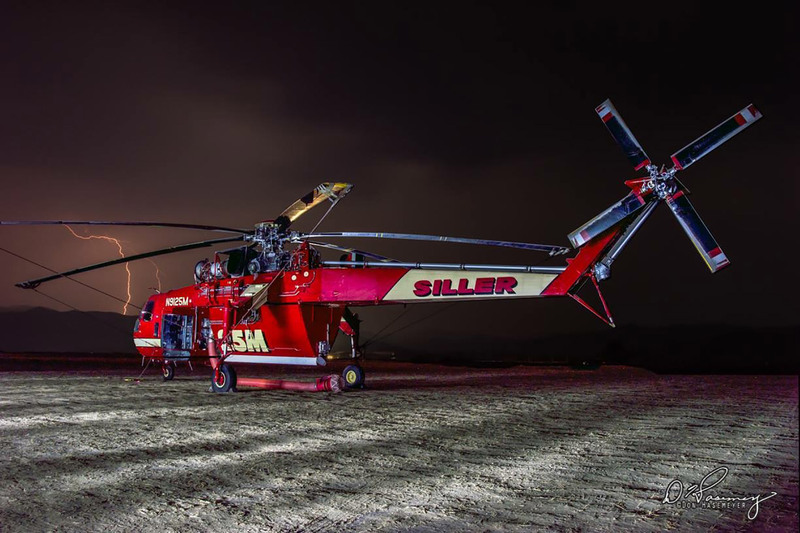 CH-54A Sikorsky Skycrane | Siller Helicopters, Inc.
An archetypal heavy-lift helicopter, the legendary CH-54A Sikorsky Skycrane remains the workhorse for top-tier industrial aviation companies around the world. 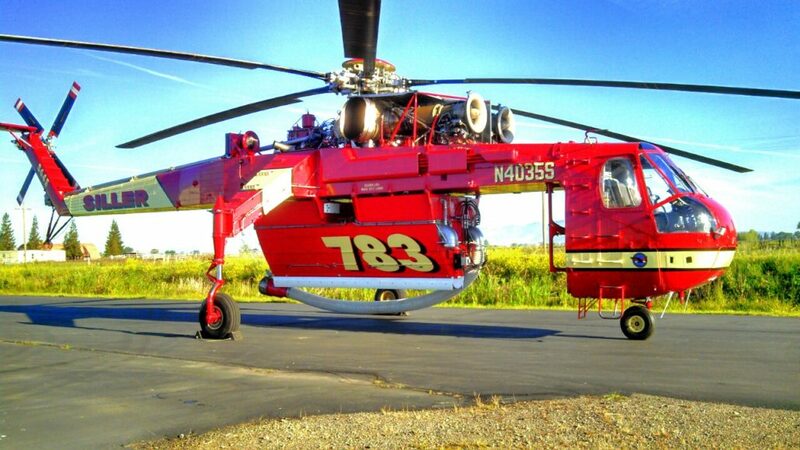 Designed by Sikorsky Aircraft for the United States Army in 1962, only 54 CH-54As were ever produced, making the aircraft one of the most sought after helicopters across the heavy-lift industry. 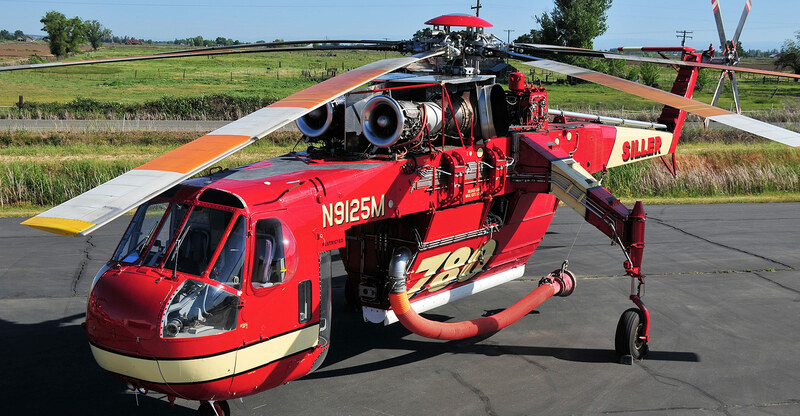 Today, only a fraction of the original production run remains in service, with Siller Helicopters operating two CH-54As, as well as two S-64 Skycranes, its civilian counterpart. 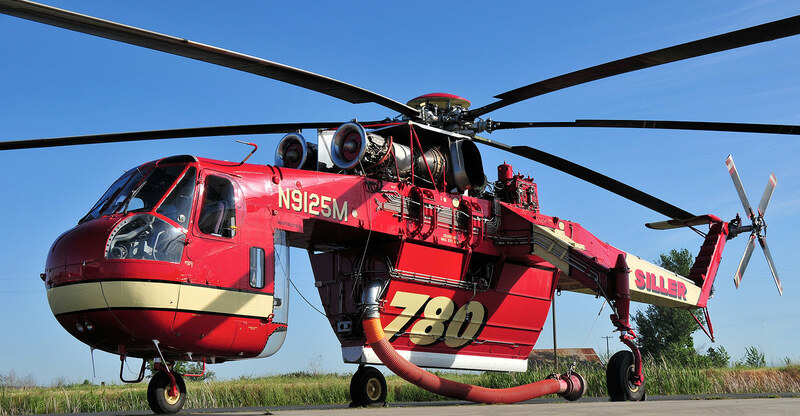 Powered by massive, twin 4,500 horsepower engines, the aircraft is capable of lifting payloads approaching 20,000 lbs., which in the past have included United States Army tanks, other helicopters and heavy munitions. Now retired from military service, modern payloads are more likely to include transmission towers, fire suppression tanks, construction equipment and HVAC units, as well as custom-rigged loads. Its revolutionary center-spine airframe, which increases lift capacity and dramatically reduces payload shift, combined with the introduction of a specialized third pilot, makes the CH-54A ideal for operations requiring pinpoint precision and immense power.